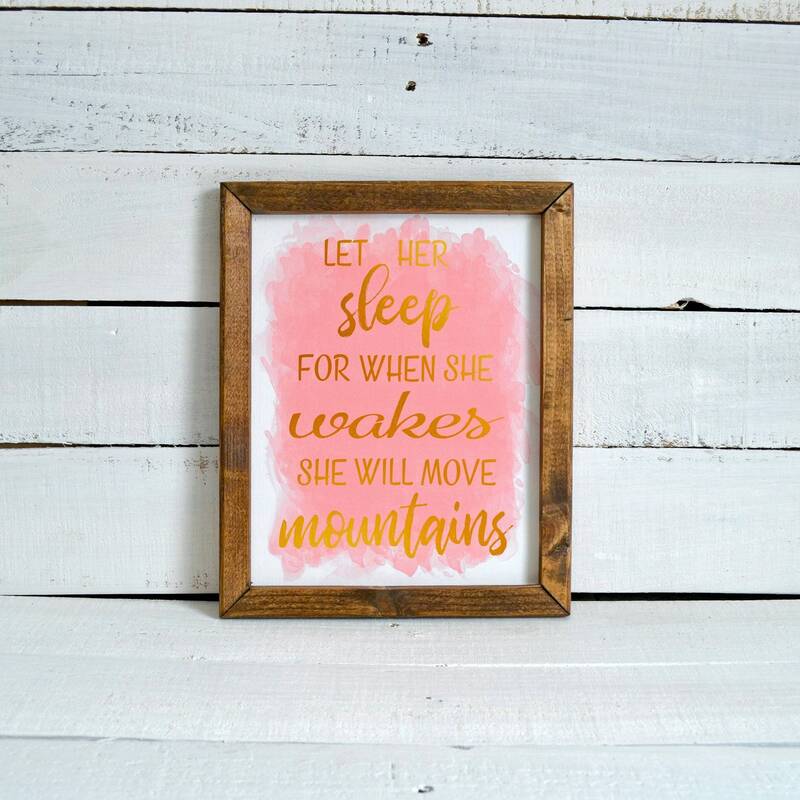 This inspirational canvas wall art would be the perfect addition to any little girl's room! 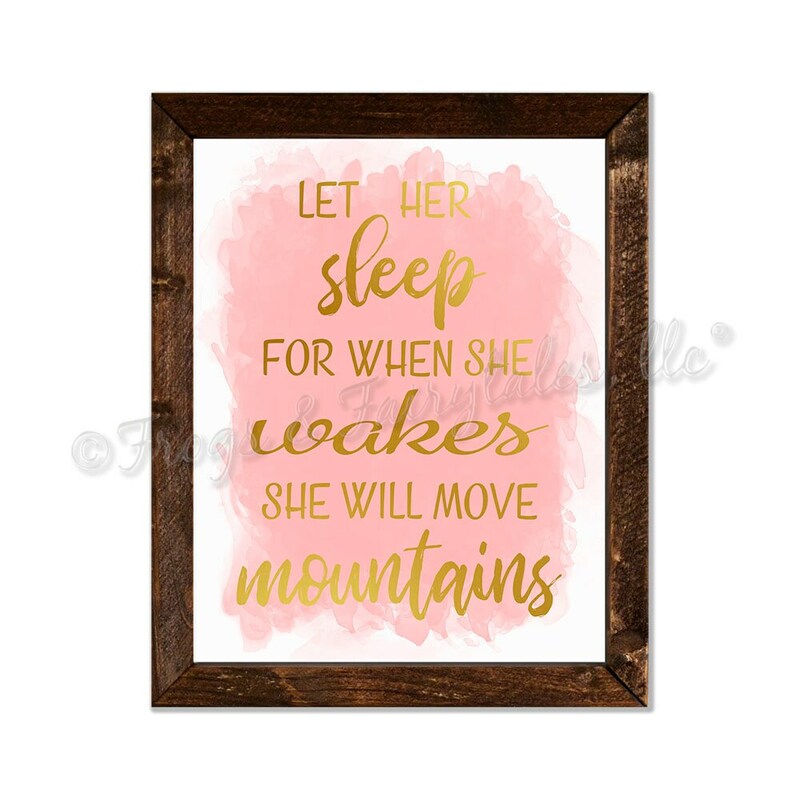 It features the words "Let her sleep, for when she wakes she will move mountains" in a gold foil effect over a pink and white watercolor background. 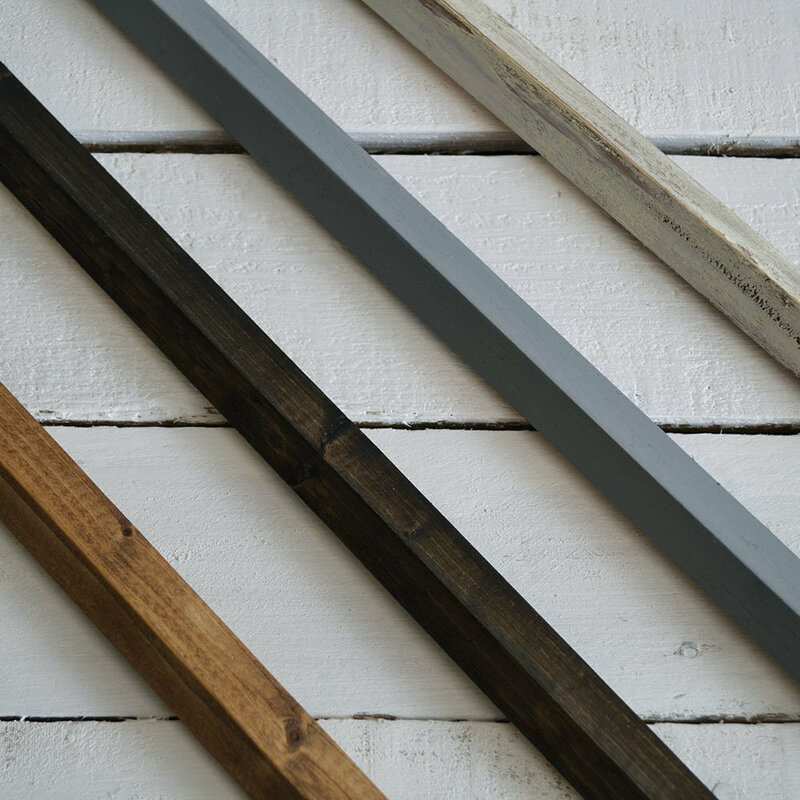 This piece is printed on canvas using archival inks, and then sealed with a satin finish polyurethane to keep the ink from smudging. 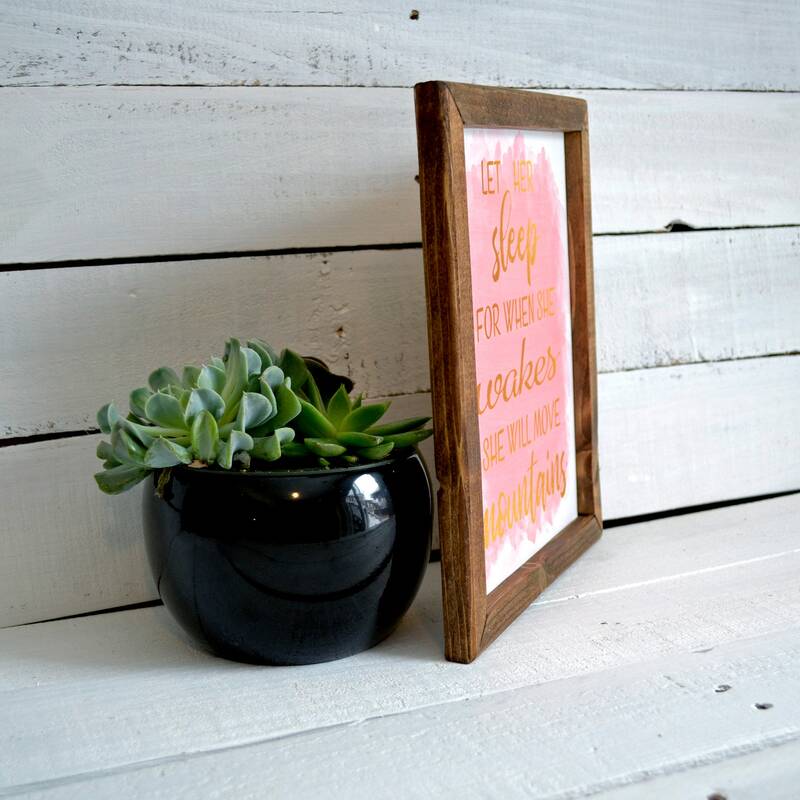 It is then glued to a wood backing, and framed in one of our hand made frame options seen in the listing pictures above. It has a picture hanger attached to the back for hanging. Please use the drop down menu to select the size and frame color for your print. If you'd like this design printed in colors other than those shown in the listing example, please use the "Request Custom Order" button on our shop page to send us a message. Looking for a custom print? Please go to our shop page and click "Request Custom Order." 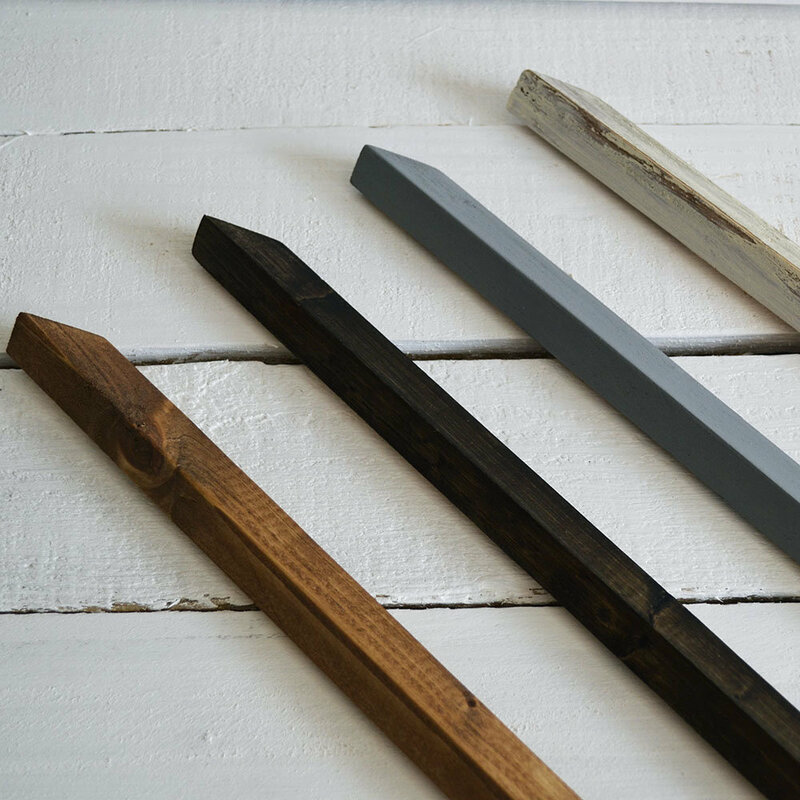 We would be happy to collaborate with you on a custom piece.